The “Migrant Colors” exhibition is now on in Beşiktaş, commemorating the 50th anniversary of the foundation of the Kosovo Prizren Culture and Solidarity Association (Kosova Prizrenliler Kültür ve Yardımlaşma Derneği). 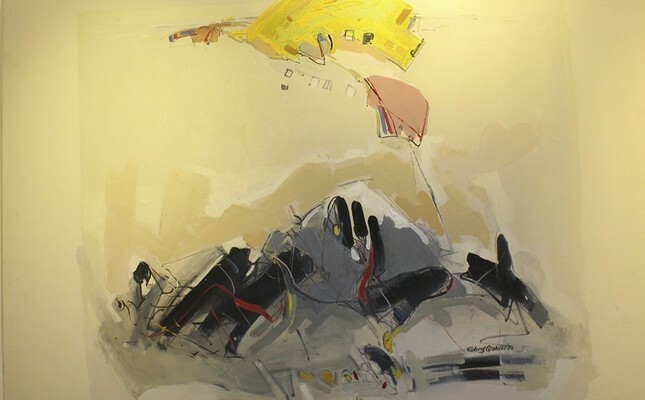 Hosted by the municipality of Beşiktaş, “Migrant Colors” is taking place in the municipal exhibition hall and includes 30 works by six Kosovan painters. Speaking to Anadolu Agency, curator Fevzi Tüfekçi said the works on display were created using different techniques. “All these artists have their own unique forms of expression and understanding of art. There are paintings created with wood burning, or acrylic and oil painting techniques,” Tüfekçi said. He is also taking part in the exhibition with his 3-D work. “I create three-dimensional paintings using photography as my starting point. These works can be seen only with red and blue 3-D glasses; it is not possible to view them with the naked eye. I have recently started this style and it is the first time that I have put the works in which I use this new technique on display. I have four pieces in the exhibition and they are generally abstract works, so each visitor can see different things during the visit. That’s why I consider my works more ‘democratic’ than others,” Tüfekçi added.